African football has been on the way up for some years now, with national teams enjoying some success at international tournaments. African footballers are also heavily in demand from the top European clubs, who pay accordingly. In recent years two of Africa’s most high profile players, Samuel Eto’o and Didier Drogba, have signed money-spinning deals with clubs in the cash-rich developing football nations of Russia and China. Tom Jackson profiles the highest-earning African footballers. 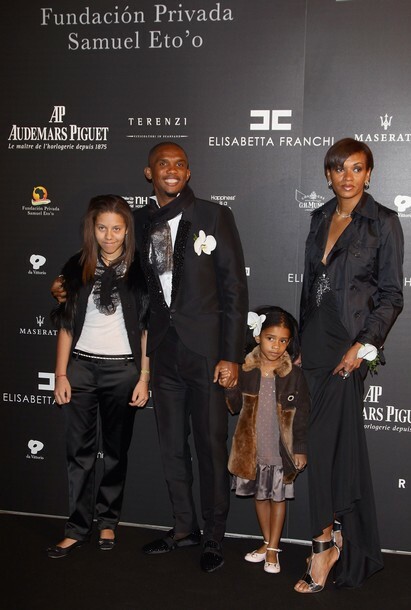 With an estimated net worth of $50 million, Eto’o became the highest paid footballer ever when he transferred from Inter Milan to small but ambitious Russian club Anzhi Makhachkala in August 2011. Anzhi is owned by Russian investor Suleiman Kerimov, who is worth an estimated $6.5 billion. Eto’o earns a salary of €20 million ($24.5 million) after tax per season, more than the likes of Cristiano Ronaldo and Lionel Messi. Puma and Ford are major sponsors. Former Chelsea striker Drogba recently signed for Chinese club Shanghai Shenhua in a deal that will see him earn approximately $314,000 a week. Even at Chelsea Drogba collected a cool $8.6 million a year, and his net worth is estimated at $30.7 million. He has an endorsement deal with Pepsi and has used the proceeds to build a children’s hospital in his home city of Abidjan. Other endorsement deals include those with Samsung, Nike and Orange France. Ghanaian Essien, though often injured, still collects $110,000 each week from his club Chelsea, with his net worth calculated at $22.7 million. He earns $5.5 million each year. When he moved from Lyon to Chelsea in 2005 his $38 million fee made him the most expensive African footballer in the world at the time. He has endorsement deals with Samsung, Pepsi and MTN. Manchester City’s title-winning midfielder Yaya, the younger brother of defender Kolo, has a net worth of $11.4 million on the back of his annual $14 million salary. He is the highest paid African player in the Premier League, earning $320,000 a week, which he tops up with image rights payments of $2.5 million a year and an additional $1.3 million bonus for Champions League qualification. Yaya’s younger brother Kolo may have a less starring role at Manchester City these days but he has still accumulated great wealth from his time in England. His annual salary of $10.3 million should go some way to easing the pain of a suspension forced on him by his club after a failed drugs test in March 2011. With a net worth of $11.4 million, he also has a boot deal with Adidas. His move from Manchester City to Tottenham Hotspur – if completed – may make a dent in his annual salary, but while he remains on his City wages he retains an annual salary of $12 million and $220,000 a week. He signed from Arsenal in 2009 for a fee of $40 million. He endorses energy drinkPower Horse. Another African at Chelsea on big bucks, the midfielder makes $110,000 a week and is the highest paid Nigerian footballer. His endorsers include Pepsi and Samsung, while he has had a nomadic career in Nigeria, South Africa, Norway and England. His annual salary is $5.8 million. Mali striker Kanoute, who now plays for Sevilla in Spain having previously had stints in France and England, has an annual salary of $8.6 million. The devout Muslim in 2007 paid $700,000 to purchase a Seville mosque for Muslim locals.